Facebook, Twitter, YouTube, display ads, mobile apps, wearables… Nowadays, there are an abundance of marketing channels that you can use to communicate with and engage your prospects and customers. But the one channel – the glue that binds all your tactics together – is email. Email addresses provide you with a unique way to identify who your customer is (after all, no one else has the same email address as you). With the right tools, you can track their behaviors across your website and other channels, and then use this data to personalize and deliver emails that really hit the spot. With a social platform like Facebook, it’s possible to integrate a newsletter sign-up feature into your brand page. If you’ve got hundreds of thousands of likes, this is your prime opportunity to convert sole social followers into subscribers. Check out our support portal to find out how to add a sign-up form to your Facebook page with dotmailer. Who doesn’t love a free competition? Especially if it’s easy to enter and the prize is awesome. Offering up an incentive on social media is a great way to collect email addresses, and for two reasons. Firstly, it’s more of a subtle list acquisition approach and, secondly, the nature of the environment it’s hosted in increases its shareability. Lead Generation Cards allow you gather names and email addresses via promoted tweets. It’s a great way to use relevant content to hook prospects in and ultimately start getting them engaged with your brand. Many companies offer up free guides or training in exchange for people’s details. The aim after all of this is to start prospects on their journey with your brand, until, in an ideal world, you nurture them into lifetime advocates. In today’s digital world, where customer expectations are constantly exceeding, the need to deliver ultra-relevant communications is essential. That’s why many companies are looking to social media, as it offers one of the richest sources of data for brands looking to connect with their customers on a truly personal level. Want to learn how you can benefit from data created and stored in another channel? 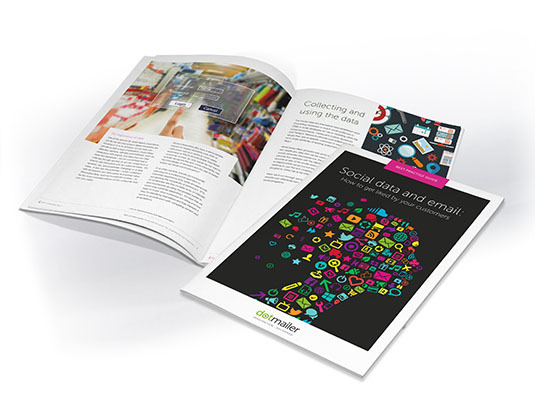 Download a copy of our free best practice guide – Social data and email: How to get liked by your customers – to find out how.